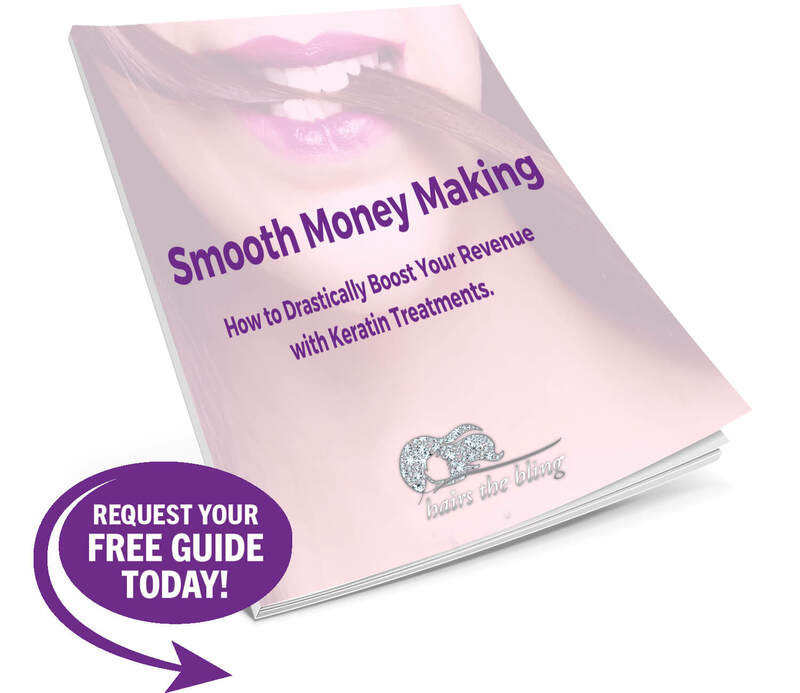 Discover How to Drastically Boost Your Revenue with Keratin Treatments! Your FREE guide is just a click away! We just need your first name and email address to send it to you! See how quickly your revenue ads up when you add Keratin Treatments to your list of services. Understand the Keratin Treatment Continuum and how it can apply to every customer you have. Discover a simple but hugely powerful 3 step marketing plan. Gain knowledge on the use of formaldehyde and its regulation. Learn how often to post and where to post your social media so it can make the most impact. Find out how to automate your social media posting. 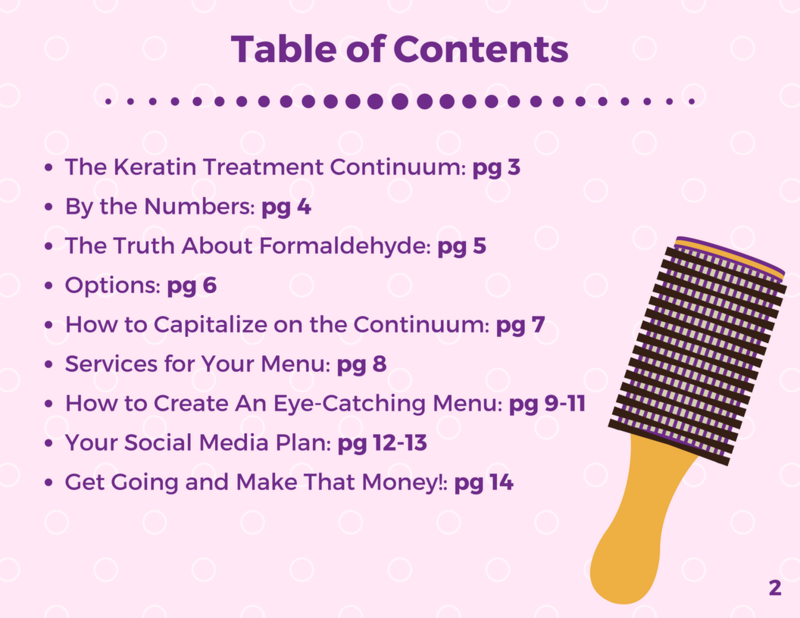 Discover how to easily design your own Keratin Services Menu for free! Learn about the keratin treatment options that are 100% formaldehyde free. Find 2 Keratin Services Sample Menus to stir your design inspiration. Try Keratharpy now with our amazing Brazilian Renewal Stylist Kit! But wait there's more! Hair's the Bling is hosting a Keratherapy Certification Class.